6v 2A, UK 3 pin, mains power adapter suitable for powering the Ltl Acorn Wildlife Trail Cameras without the need for batteries. 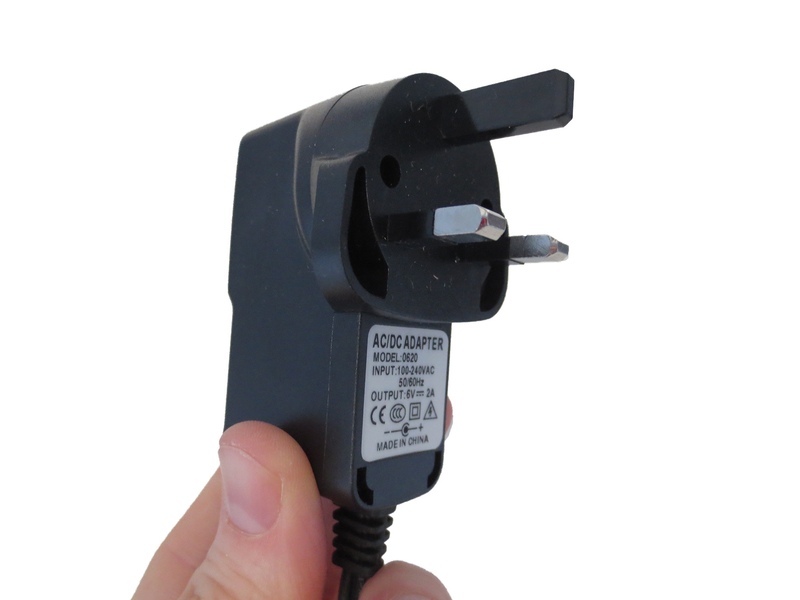 Please note, this power supply will fit any of the 5000 series Ltl Acorn cameras: 5210, 5310, 5610. It can also be used with the 6000 series cameras but requires some slight modification before it will fit through the outer casing of the camera and plug into the cameras’ on board power socket. The power supply has approximately 1m of cable attached. The power adapter is not weatherproof and so should be plugged in indoors or inside a completely weatherproof box. Excellent service fast delivery . Great service, ordered one day, here the next. Could have done with longer lead but that can be sorted. Would use this company again. Excellent power supply, great price. Could use longer lead to camera.